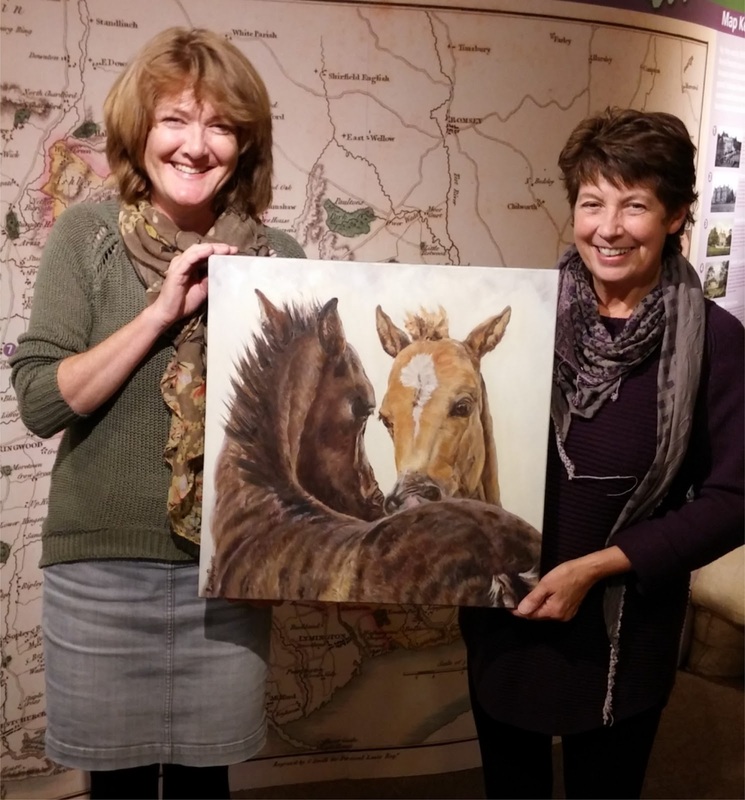 A Brockenhurst-based artist Sandy Poynter has scooped a prize for her painting after record numbers of visitors saw the New Forest Open Art exhibition. Over 14,000 people attended the exhibition at the New Forest Centre in Lyndhurst this summer, viewing dozens of pieces of art inspired by the wildlife , landscape and traditions of the New Forest. More than 800 votes were cast by visitors to the annual exhibition, and Sandy Poynter’s painting was the clear winner, earning her a £100 prize. The exhibition and associated competition were run by the New Forest National Park Authority and the New Forest Centre, and were sponsored by ExxonMobil at the Fawley Refinery. If you’d like to see more of Sandy’s award-winning art, you can view her gallery on www.equestrianartists.co.uk. View a video of the preview evening and an online photo gallery of this year’s entries at www.newforestnpa.gov.uk/openart2015.